Each month you will receive a 4 week program based on your unique situation. Whether you are looking to lose weight, become stronger, increase flexibility or just move more easily in your day to day activities, I will custom design the program just for you. During the following months, you will receive a new program with changes from the feedback you have given me and the progress you have made. Each program will ALWAYS have your personalized goals as the focus of the workouts. I will occasionally send you an email “check-in” or an email letting you know of changes I am making to your program and why. You can also feel free to send me an email anytime! Make sure it is concise so I don’t miss any of your important questions. Using a bullet list is the best. You are welcome to ask as many questions as you like. I’ll do my best to respond quickly, but please at the very least I will respond to all emails Thursday by midday, or by our official weekly check-ins. I will conduct an initial movement assessment based on your goals using Skype or another video chat app. This assessment will help me correct any improper movement patterns while adding the appropriate corrective exercises. If there is an exercise that is completely new to you or one that you are unsure you are completing correctly, we will schedule a “Form Check”. You will find a place to set up your phone or device so that I will have a full view of you completing the exercise. Once completed we will either discuss corrections or I will demo the exercise with your corrections. 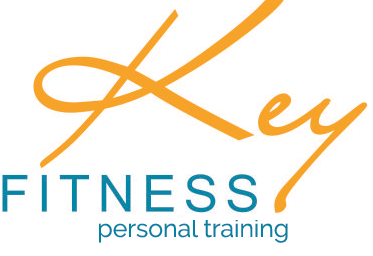 The Key Fitness Facebook Forum will be available 24/7 to ask questions about various fitness/nutrition questions, seek support from others in similar situation and utilize the tips and recipes I provide. Full access to my specialized exercise video library to assist you in perfecting the correct form of an assigned exercise. Your Key Fitness Dashboard is where you will receive your training routines, monthly calendar, progress stats, pictures, nutrition (if you chose to include it) and communications from me. If you don’t have Facebook or want to join the private group, you can still be kept up to date with the fitness and nutrition tips that are posted many times each week via email. All of your monthly programs, the video library, fitness dashboard and some nutrition features will be accessed using the Key Fitness Training app. This platform allows you to have your entire plan in one place and makes it very easy to follow your workout in the gym.